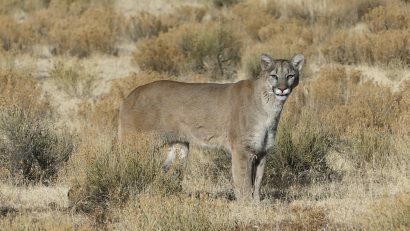 Predator Hunting is a HUNT, not a shoot. The better shape you are in, the more stands/set-ups we can make and the more enjoyable your hunt will be. We always go at the client’s pace, but we also know we can’t call-in predators unless we are on a stand/set-up calling. You will be taking 10,000-15,000 steps on uneven rocky terrain over the course of 1 day. This will work lower body muscles you never knew existed, if you have not prepared. We don’t run, but we are professional hunting guides, so we are in shape & prepared to do whatever it takes to be successful. A few months prior to your hunt, please try to do leg and possibly cardiovascular workouts. Walking, biking, lunges & squats will all help you be more prepared for your guided predator hunt. 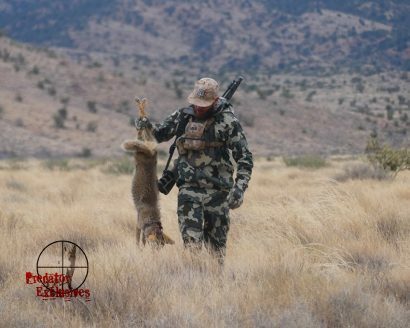 Keep in mind, if you show up out-of-shape or if you are climbing the age ladder, we will try to make your predator hunt the most successful and enjoyable as we can. We don’t try to wear hunters out, we just try to make sure we do our job and live up to your expectations.